The Disaster Mitigation Act (DMA) of 2000 included new requirements for hazard mitigation planning. In order to become eligible for hazard mitigation grant program funds in the future, counties must prepare and adopt hazard mitigation plans. The DMA required that local hazard mitigation plans that meet the requirements of the act were to be in place by November 2004. The intent of a hazard mitigation plan is to inventory possible hazards, assess what hazards the community is vulnerable to, and to provide possible mitigation activities for those hazards. Every county in the region had an emergency management plan that addressed emergency action guidelines. These plans addressed response to a disaster, but did not address prevention. The focus of the hazard mitigation plan is the development of projects and policies that can be implemented to reduce or prevent losses from future disasters. 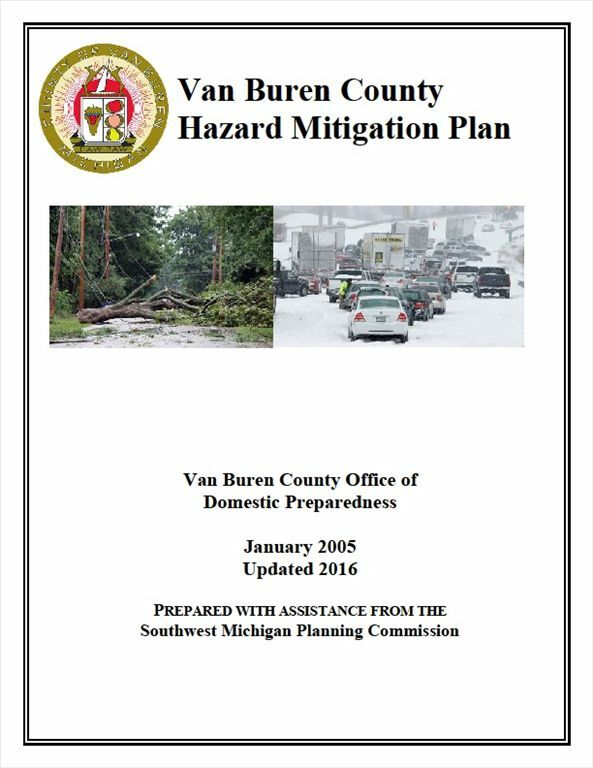 SWMPC encouraged all of the municipalities in Van Buren County to participate in the development and implementation of the plan. This page last updated on 6/20/2017.